JR provides direct access to all pallets. And it's the most economical in terms of equipment and capital costs. 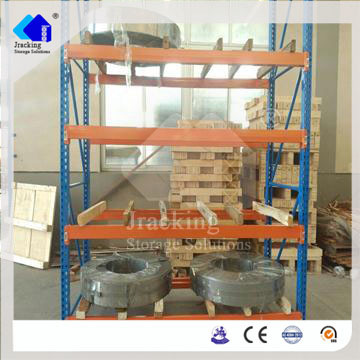 Roll formed pallet rack system is the most popular and versatile. 7) Engineered for maximum strength and value. 1-5/5” step beam height varies from 3” to 6” to meet your different loading requirements. Length of beam varies from 48” to 144”. We are the leading and professional manufacturer of warehouse racking in China .All products have detected by SGS and AS4084-2012, also have passed the ISO9001 quality certification. 2) Lead time: normally in 20-25 days after deposit received. 4) Shipping port: Shanghai / Nanjing China. 1) Payment: we can do O/A 40-60 days. 2) Lead time: rush order we can fast delivery. 3) Factory price: factory direct sale competitive price. 4) Warranty: Two years warranty, the broken parts will be replaced and sent to you. Usually the delivery of a 20ft container is 20-25 days, the 40ft container is 25-30 days. The container will be shipped from factory to Shangai or Nanjing port. 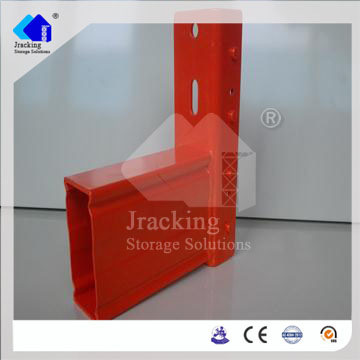 Package ends of column and arms with cardboard and bundle with steel strapped outsides or follow the customer's special requirements. 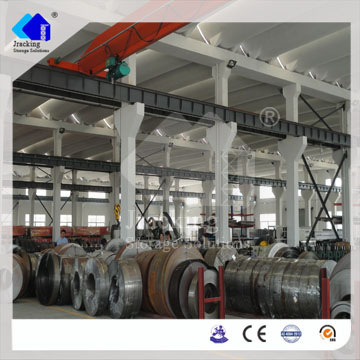 Nanjing Jiangrui Racking Manufacture Co., Ltd. specializes in manufacturing and exporting of the Material Handling equipment and systems. Since established in 2004, it has become one of the industry leaders in providing Material Handling equipment and storage systems with fast growing speed. And our dealer network extends greatly to all over the world. Our company covers an area of 20,000sqm. We have a powerful work team over 100 employees devoted exclusively to design, manufacture, and implement Material Handling equipment and systems. Over 20% of Jiangrui staffs are degreed engineers and sales professionals with many years of experience in the industry. And we maintain a sizeable staff of in-house installation personnel, field technicians, and project managers. This enables us to provide the schedules, qualified workmanship, and superior service that our customers expect and deserve.  Jiangrui strictly implements ISO9001 standard in all operations. Jiangrui offers a wide range of products to meet all of your order fulfillment & material handling needs: Teardrop pallet racking, Dexion pallet racking, European pallet racking, Cantilever rack, Mezzanine, Long span shelving, Carton flow rack and other Work Apparatus. Whether you are looking to populate an entire warehouse or you are in need of a single piece of equipment, Jiangrui has a solution for you. Our mission is to assess your companies' needs and concerns on-site with courteous service to determine what is important to you and your people. Offer suggestions based on what we have done and have seen in similar situations and determine with you how to fill your exact requirements. Based on "service is our No.1 concern", we're ready to provide special service to meet your special projects. And help you standardize your equipment needs correctly the first time so as your company grows, sourcing equipment and related frustration is eliminated- leaving your time for your business as well as saving your company hard earned money. We are constantly striving to improve our business and service. We own high quality products, super service, fine credit and competitive price. Any enquiry from you will get our prompt action. 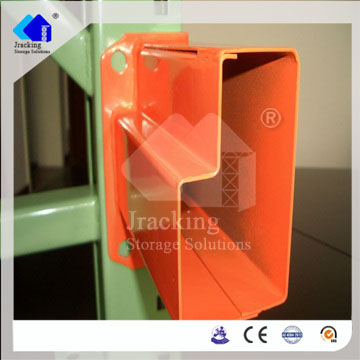 Factory Info: Nanjing Jiangrui Storage Equipment Manufacture Co., Ltd.
Our existing factory covers an area of 20,000sqm. There're 8 production lines in it. Now our new factory covering an area of 50000sqm has been built.The automatic production facilities for cold profiling of metals have enabled us to achieve a highest level of productivity in China today. We strictly implements ISO9001 standard in all operations to ensure a continuous evolution of efficiency and quality standards.We have a powerful work team with over 100 employees devoted exclusively to designing, manufacturing, and implementing Material Handling equipment and systems.